By Ulfhethnar Odinsen AOR The tree is a common motif in our sacred mythology as well as in that of various cultures world-wide. Yet nowhere does it seem to have left such an indelible mark as it has in the Nordic cultures of Europe. From the mighty ash tree Yggdrasil to our progenitors Askr and Embla, the Ash and Elm. Planet Earth is a living, breathing entity. We have all at some point in our schooling come across the subject of geography, which describes Earth's terrain in terms of Her structure- mountains, continents, rivers, rocks and so forth. This is her skeleton. Odinism & The Environment - What Can Be Done? 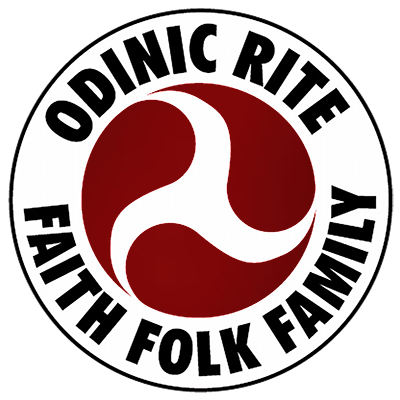 Report by Asrad CG On Saturday the 4th Fogmoon 2256 members and friends of the Odinic Rite gathered in London for the Great Moot. Once again we were blessed with a very good turn out with members travelling from across Midgard to be with us. It is heart warming to see the effort that many of our members make to be with us at this very special occasion.